Sisley-Paris Sisleya L'Integral Anti-Age Eye & Lip Contour Cream & Limited Edition Massage Tool, 0.5 oz. 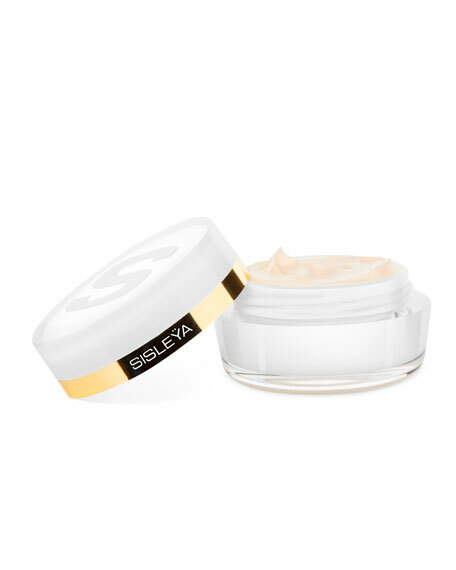 Sisley-ParisSisleya L'Integral Anti-Age Eye & Lip Contour Cream & Limited Edition Massage Tool, 0.5 oz. Behavioral factors, such as everyday stress, pace of life, overexposure to sun etc, in each person's life directly affect the eye contour area, the most vulnerable part of the face. 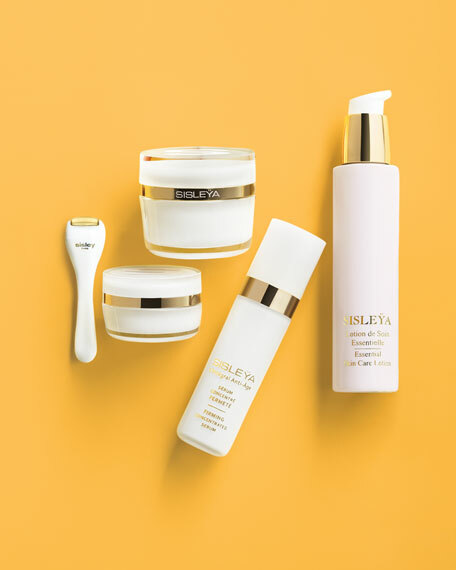 Sisley provides a truly complete solution by fighting against the visible signs associated with the 3 types of aging: genetic and environmental aging, but also, now, those linked to behavioral aging, based on personal lifestyle. Persian Acacia and Lindera extracts, combined with Yeast and Soy Protein Complex, contribute to re-energizing the eye contour and reducing wrinkles and fine lines for a visibly fresher and more youthful look. Enriched with Soy peptide extract, this formula firms the upper eyelids for eyes that look redefined and wider, as if opened up. The vertical lines above the lips, an area particularly influenced by behavioral factors (smoking, sun, etc. ), are visibly smoother. The combination of plant-based expert key ingredients, including Atlas Cedar extract and Pomegranate fermented extract, helps to lighten the blue and brown coloration of dark circles: the eyes look visibly brighter. Finally, Passion Fruit extract works to reduce puffiness. 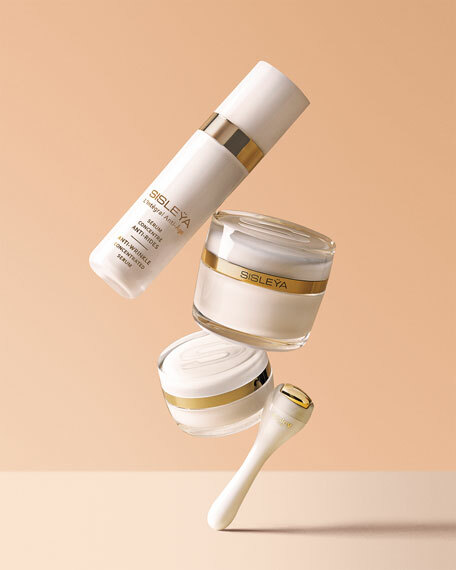 Immediate results (hydration, eyes appear rested and brighter) and long-term results (wrinkles are visibly smoother, skin is firmed, dark circles and puffiness are diminished, and eyes are opened up). Tolerance tested under dermatological and ophthalmological conditions. Formulated without essential oils. Suitable for sensitive eyes and contact lens wearers. Apply the cream morning and evening along the eye contour area, eyelids and the contours of the lips. 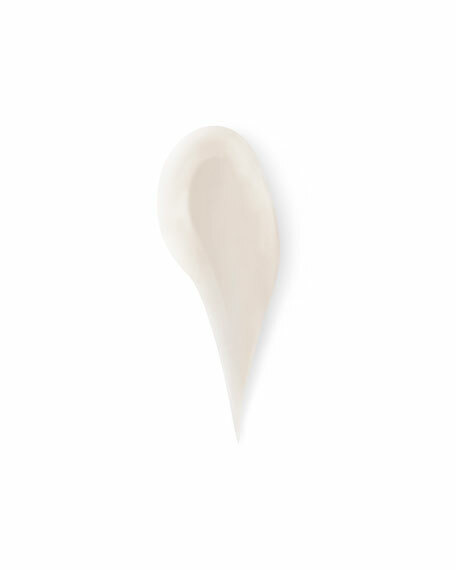 Prepare the eye & lip area prior to applying the cream, by utilizing the cool-tip massage tool. Smooth the above the eyebrow and over the eyelid and below the eye, always using a motion away from the inner eye. Also, smooth around the mouth area, above the lips, using a motion from the center of the mouth to the outer edges. Use gentle, light pressing motions around the entire eyelid and below the eye area to support microcirculation. 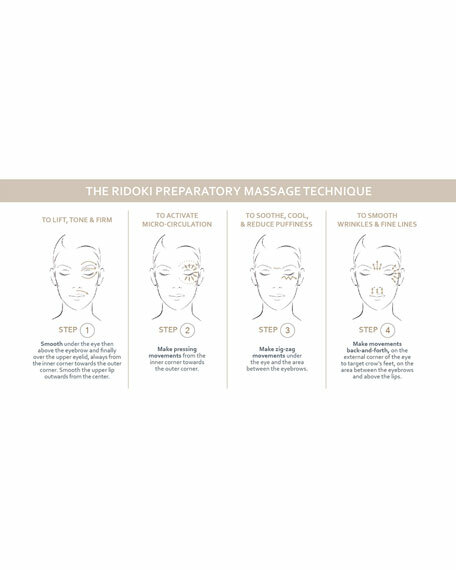 Gently move the massage tool in a zigzag pattern between the brows and under the eye area to help de-puff. Use a gentle back-and-forth motion between the eyebrows, along the outer corners of the eye and above the lip to smooth wrinkles. The eye contour area is moisturized. Fine lines are faded, and the eyes appear rested and brighter. The fresh effect is instant. Wrinkles and fine lines are visibly smoother. Puffiness is reduced and dark circles are diminished. The lip contour area appears reshaped and lips look more defined. Eyes look wider, as if opened up. When Hubert d'Ornano founded Sisley-Paris in 1976, his use of botanical active ingredients and essential oils in beauty products was an innovative concept. Today, Sisley continues its tradition of pioneering new treatments with research from its own laboratories. The French collection features a full range of skin care, makeup, and fragrances.